One year ago today I had already spent my first night in the hospital. First of many! 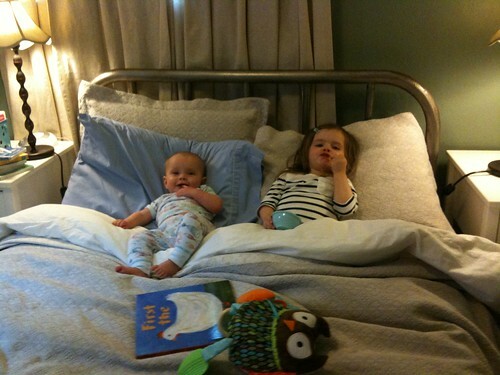 Whew, what a year we have had…I am so thankful I am home with these healthy sweeties (and Telfer) instead. It was not an easy summer by any means but I see so many good things that came out of that time — not the least a healthy baby. God is good all the time. And there have not been many times in my life when I had the time to read the New York Times thoroughly every morning. Small mercies, right?